Hi Cheryl - Thanks for hosting this new linky party! It's nice to see what people are proud to have finished this month. Congrats on your Swoon finish - it will be well loved by whoever receives it. Thanks for starting the new linkup! Next month I should have a finish to share. Great way to finish a lone block. It's a lovely baby quilt. Thank you for hosting the new link up. Thanks for hosting the link up, Cheryl. It's fun to see what everyone has been working on. 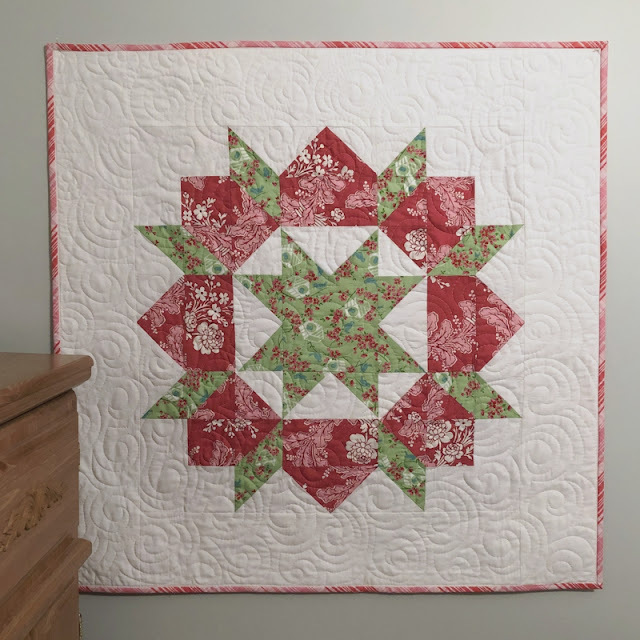 Your Swoon baby quilt looks beautiful. Great idea to convert the block into a useful size quilt. 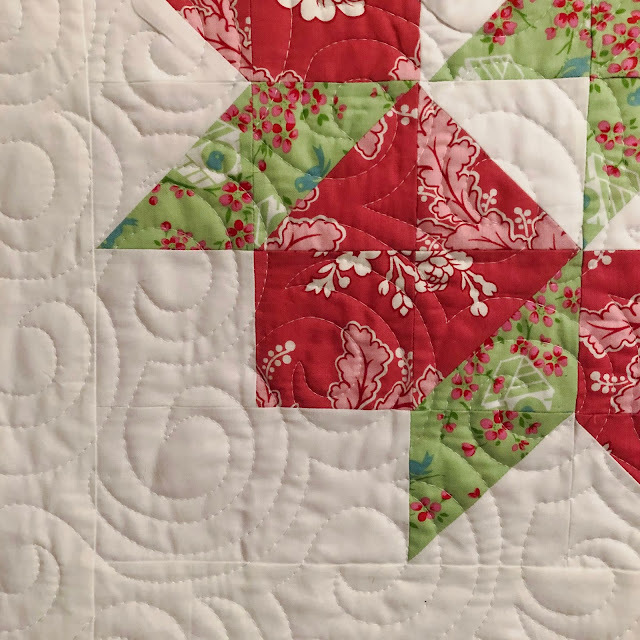 What a gorgeous quilt finish, Cheryl! So lovely to turn that block into a quilt that will bring comfort to a child. Thanks so much for hosting this fun link up party! Thank you for this linkup. It's so nice to see what everyone if up to at the end of the month. Love teh swoon block. Perfect use for an orphan block. Thanks for hosting the fun new linkup! Fun new link up! Thanks for hosting! Thank you Cheryl for this new linkup party & I'll drop by later to have a closer inspection of everyone's quilts. Had a slight mishap with the link but got there in the end. Take care.